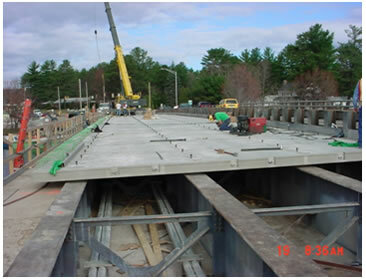 Use of prefabricated bridge elements and systems (PBES) is one strategy that can meet the objectives of accelerated bridge construction. 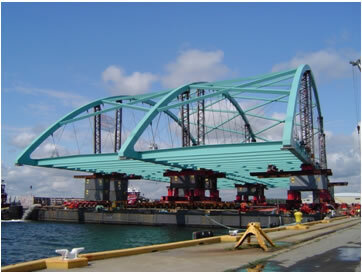 PBES are structural components of a bridge that are built offsite, or near-site of a bridge, and include features that reduce the onsite construction time and mobility impact time that occur from conventional construction methods. PBES includes innovations in design and high-performance materials and can be combined with the use of "Fast Track Contracting" methods. Because PBES are built off the critical path and under controlled environmental conditions, improvements in safety, quality, and long-term durability can be better achieved. 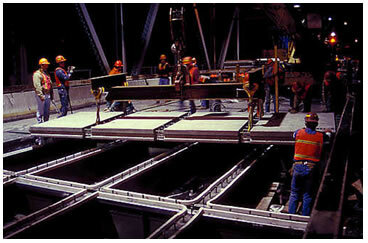 Prefabricated elements are a category of PBES which comprise a single structural component of a bridge. Under the context of ABC, prefabricated elements reduce or eliminate the onsite construction time that is needed to build a similar structural component using conventional construction methods. An element is typically built in a prefabricated and repeatable manner to offset costs. Because the elements are built under controlled environmental conditions, the influence of weather related impacts can be eliminated and improvements in product quality and long-term durability can be better achieved. Prefabricated deck elements eliminate activities that are associated with conventional deck construction, which typically includes onsite installation of deck forms, overhang bracket and formwork installation, reinforcing steel placement, paving equipment set up, concrete placement, and concrete curing, all typically occurring in a sequential manner. 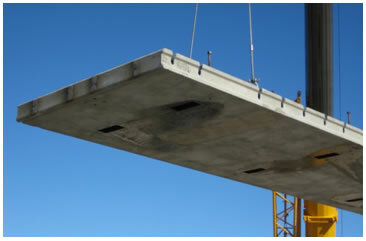 Prefabricated beam elements are composed of two types: "deck" beam elements" and "full-width" beam elements. Deck beam elements eliminate conventional onsite deck forming activities as noted above. To reduce onsite deck forming operations, deck beam elements are typically placed in an abutting manner. Note: Although not preferred under the context of ABC, a separate construction phase (performed in an accelerated manner) may be required to finish the deck. 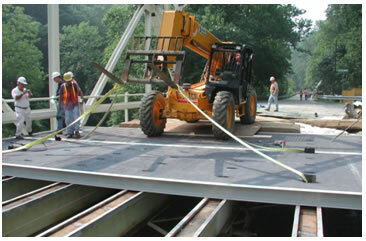 A deck connection closure pour, overlay, or milling operation using innovative materials can be used to expedite the completion of the deck. In some situations, the placement of overlays can be accomplished during off-peak hours after the bridge is opened to traffic. 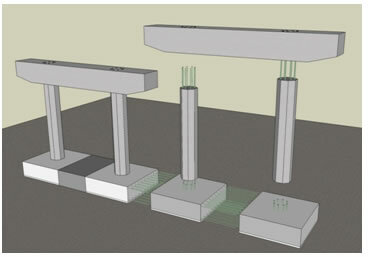 Full-width beam elements eliminate conventional onsite beam placement activities. They are typically rolled, slid, or lifted into place to allow deck placement operations to begin immediately after placement. Given their size and weight, the entire deck is not included. 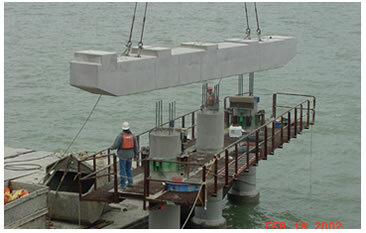 Prefabricated pier elements eliminate activities that are associated with conventional pier construction, which typically includes onsite form installation, reinforcing steel placement, concrete placement, and concrete curing, all typically occurring in a sequential manner. Prefabricated abutment and wall elements eliminate activities that are associated with conventional abutment and wall construction, which typically includes form installation, reinforcing steel placement, concrete placement, and concrete curing, all occurring in a sequential manner. 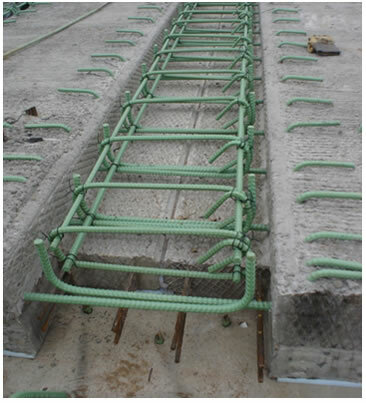 Geosynthetic Reinforced Soil (GRS) abutment; see "Geotechnical Solutions"
Prefabricated miscellaneous elements either eliminate various activities that are associated with conventional bridge construction or compliment the use of PBES. Note: Any cast-in-place concrete or overlay placement operation should be performed in a manner that reduces the impacts to mobility. This may require work that is performed under "Fast Track Contracting" methods with incentive/disincentive clauses, nighttime or off-peak hour timeframes, or work done entirely off line. Innovative materials may be needed to expedite placement times such as the use of rapid-set/early-strength-gain materials or ultra-high-performance concrete (UHPC) in closure pours. Prefabricated Systems are a category of PBES that consists of an entire superstructure, an entire superstructure and substructure, or a total bridge that is procured in a modular manner such that traffic operations can be allowed to resume after placement. Prefabricated systems are rolled, launched, slid, lifted, or otherwise transported into place, having the deck and preferably the parapets in place such that no separate construction phase is required after placement. Due to the manner in which they are installed, prefabricated systems often require innovations in planning, engineering design, high-performance materials, and "Structural Placement Methods". Superstructure Systems: Superstructure systems include both the deck and primary supporting members integrated in a modular manner such that mobility disruptions occur only as a result of the system being placed. These systems can be rolled, launched, slid, lifted, or transported in place, onto existing or new substructures (abutments and/or piers) that have been built in a manner that does not impact mobility. Superstructure/Substructure Systems: Prefabricated superstructure/substructure systems include either the interior piers or abutments which are integrated in a modular manner with the superstructure as described above. 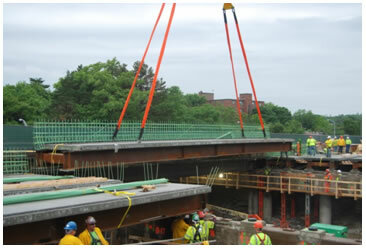 Superstructure/substructure systems can be slid, lifted, or transported into place onto new or existing substructures that have been built in a manner that does not impact mobility.